Planning a party or event is incredibly fun but when it comes to the entertainment you have to make sure you get it just right. With the right band your event will have people entertained all evening and leave them with some incredible lasting memories , get the entertainment wrong and you may find your guests bored and heading for the door. Here are 8 incredible bands for virtually any type of party or event! if you want a cool and contemporary party band then Coyote are for you. 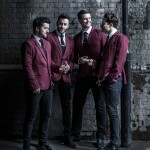 With a combination of classics from the likes of Bruno Mars, The Beetles, Swedish House Mafia, Florence and the Machine and The Lumineers, Coyote are fired-up and ready to bring their contemporary appeal to all types of events in the UK and beyond. Get in touch to book Coyote and get the party started! Mixing Energy with Rock Solid Experience, Aphrodite brings timeless musical integrity into a contemporary presentation, packing decades of the best music ever into a superb live show. Aphrodite is a highly experienced rock and pop band touring extensively throughout the UK and beyond, performing the best in covers hits from the 70’s, 80’s, 90’s, 00’s and present day. Mansfield Avenue has the players and repertoire to cater for your event. The band members have years of event experience; weddings, corporate events, private functions and military both domestic and international. This is a seriously strong covers and party band suitable for any venue, any event and any age group! Fronted by Mike Bentley, multi-instrumentalist and great personality vocalist. 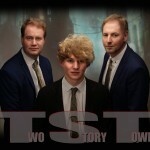 With the hits of the 1960’s right up to present day hits, Two Story Town is perfect for any venue or audience. Suitable for every venue and any audience, Two Story Town include the hits of The Killers, Stereophonics, Erasure, Walk The Moon, Madness and many many more. Performed by the superb live band ‘Aphrodite’, the Eighties Invasion present their own fantastic tribute to the music of the 1980’s! Many of your 80’s favourites are featured in this great live show, including Kim Wilde’s Kids In America, The Buggles’ Video Killed The Radio Star, Erasure’s A Little Respect, Aha’s Take On Me and many more including great covers of Madness, Bananarama and many more. With babies of the 90’s hitting some big milestone birthdays, there is a chance that a 90’s cover band would suit an upcoming birthday party quite nicely. Even if you just want to relive the fantastic music of the 90’s at your next event, these bands will be sure to deliver a quality evening of entertainment! Taking you on a nostalgic trip back to the 1990’s, 90’s Rewind are the ultimate revival show to a decade that features the best of R&B, UK Garage and Dance! 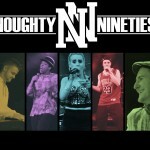 For a truly awesome 90’s themed party, these acts are a must! Abba Rival emulates arguably the greatest pop band of all time. 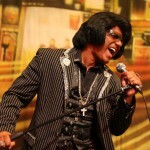 Their superb live show bring all of the sounds, styles and feelings of the hit group. Featuring the superb accurate vocals and musicianship of two stunning Abba girls and all of Abba’s greatest hits you’ll find it hard to believe that it’s not the real Abba. Take a listen for yourself or get in touch to discuss availability for bookings! So there you have it, 8 incredible bands for any party, event or themed occasion you may need entertainment for. If you’d like to see our full range of artistes take a look here to see all of the acts available for hire. 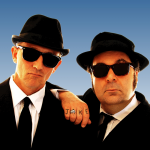 If you’ve found a band for your event, please get in touch with us here!